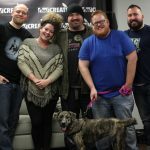 The live, multi-camera show streams in high definition on NEPA Scene’s Facebook page on Wednesday nights at 7 p.m. and is hosted by Rich Howells, editor and founder of NEPA Scene; Brittany Boote, owner of Boote Photography Studio in Forty Fort; and Johnny Popko, host of Alt Natives on Scranton radio station Alt 92.1 and senior marketing consultant at Alt 92.1, Rock 107, and ESPN Radio. Viewers are encouraged to tune in during each hour-long episode and interact during the Facebook Live stream so that the hosts can address comments and answer questions as they come in. 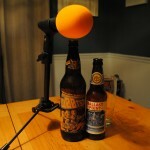 The NEPA Scene Podcast is made possible by local sponsors Beer Boys, The V-Spot, The Keys, Loyalty Barber Shop and Shave Parlor, Coal Creative, and viewers who tune in every week. In Episode 40, we sit down with Shavertown native Justin Mazer, guitarist for Gatos Blancos, Starbird, Ryan Montbleau, and many other bands over the years, including Tom Hamilton’s American Babies, Leroy Justice, and MiZ. His longtime Led Zeppelin tribute act Misty Mountain will reunite for two shows with special guests at the River Street Jazz Cafe in Plains on Friday, Dec. 22 and Saturday, Dec. 23. Before and during the interview, we drink Beer Boys crowlers of BennyFest, an Oktoberfest-style lager by Benny Brewing Company in Wilkes-Barre, Maple Mistress Imperial Pumpkin Ale by Saucony Creek Brewing in Kutztown, and Quinannan Falls IPL by Bell’s Brewing. Each one ended up being flavorful and perfect fuel for a discussion after Justin’s long drive. 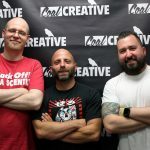 We talk about how Justin started as a young guitarist, spending an average of 175-200 days on the road and playing in at least 40 states, his travel highlights, how the local music scene influenced and boosted his career, the importance of open mics to his development as a guitarist and to other artists, the recent Cabinet hiatus announcement, how he effectively juggles different projects and practices consistently, the musicians that started at and grew out of the River Street Jazz Cafe, what our scene can learn from other music scenes across the country, his celebrity run-ins with artists like Jim James from My Morning Jacket that didn’t go as planned, his crazy story of flying from gig to gig, the origins of Misty Mountain and its ambitious 10th anniversary show this weekend, and more. We also answer some questions and react to comments from live viewers, discussing Justin’s favorite venues, who is on his bucket list to play with, underrated bands, staying grounded, and our first albums and concerts.